• Multiple-awards winning app from the maker of Puzzingo Puzzles! Is your child learning to spell? Is your kid sounding out words with phonics? Does your kid like silly videos? If so, download Wonster Words today! • “My daughter absolutely loves this app. It teaches her how to spell, sound the words out, act the word out, and gives a definition.” • “Terrific Great phonics app for young children. 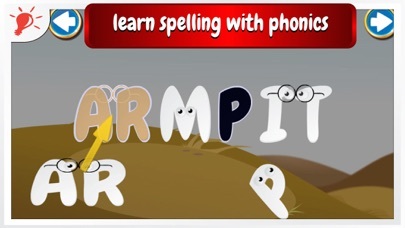 Fun graphics too.” Help your kid learn phonics and grow his vocabulary! By playing with silly letter ghosts and hilarious wonsters, Wonster Words will help your kid learn how to spell and sound out new words by learning: alphabets, phonics, consonant blends, word families, diphthongs, digrahs, and more. Kids will have a blast putting together words through interactive spelling puzzles, letter hide-and-seek, and other engaging mini-games. 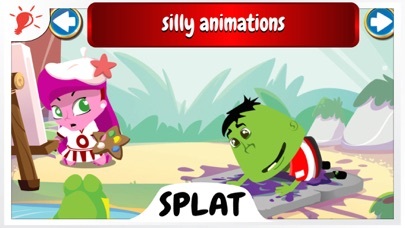 Once the words are completed, your child will enjoy cute animations head-lined by the lovable wonsters. These animations will further reinforce the meaning of the words that he had just learnt. Before you know it, your child will be spelling and sounding out words like a champ! Wonster Words comes with a growing catalogue of over 150 words so your kids will not get bored! 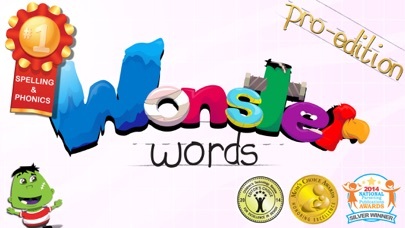 Please note that this is the “Pro” Edition of Wonster Words, which contains the same content as if you were to unlock all the content within the regular Wonster Words game. Features: • Help kids spell new words using phonics, word families, digraphs, and more. 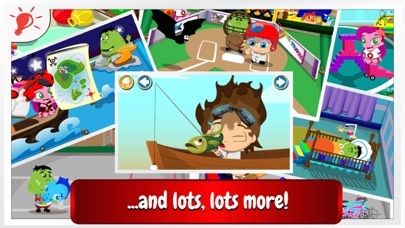 • Fun mini-games for many repeat plays. • Silly animations that reinforce the definition of words in a fun and engaging way. • Like our award winning Puzzingo Puzzles, Wonster Words encourages kids to engage and explore, with no scoring, quizzing, limits, or stress. _________________ CONTACT US: If you run into issues with the app on your device, instead of leaving a bad review, please email us at support@77sparx.com. We are not able to respond to reviews, but we are happy to help if you email us. My 4 1/2-year-old daughter has had this app for in heavy rotation for two years. I recommend getting the full package right up front. We are a family that does not think it is a good idea to use a lot of media, yet this one made the cut early on. Wonster words is such a great app! We love it! This game is wonderful! It’s a great way to help kids learn their letters. It does great saying the sound of the letter as it’s moved into place. However, it drops the ball after that. 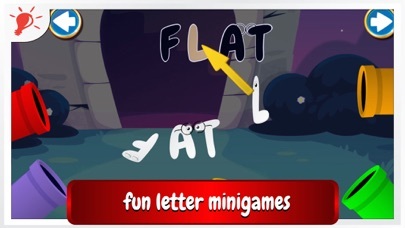 They NEED to have an option to then sound out the letters together to make the word. Ie: Tomb , once all the letters are in place should say their individual sounds again “t-oo-mah-bah” “tomb” rather than just spelling the words and then saying the word. This could be an option for the beginning reader and then the option for the kid learning to spell. I love how they use the words in a creative story and the videos afterwards make my kiddo love the game. Please add this change and you’ll make our love of this game that much better. Great app. My son loves this. My son loves this app and making words. She likes the wonster words and puzzlingo. They are great apps to help her learn words. My 2.5 year old loves this! I love it and it always makes me laugh. This app makes learning fun. My 4 year old loves this app. His learning how to read in a fun way. My son has improved his spelling and pronunciation considerably in just a few weeks. Thank you for creating such a fun app.